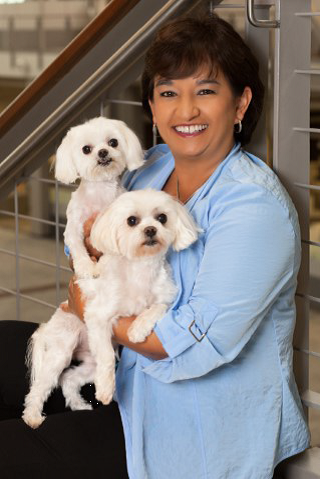 When I first joined Petco in the accounting department my favorite project was to work in our stores to learn firsthand about the customer and store partners. I spent days listening and observing, with the goal of bringing what I learned back to the corporate office to make a difference for our store teams. After my first in-store experience, I helped create a system to automate the daily register opening/closing process so our partners could spend more time with customers. This inspired me to take on numerous roles in the company to lead changes in the areas of inventory management, store operations and supply chain, all with a focus on how to make the customer experience better. When I am not working I enjoy spending time with family. In fact, my best ideas come from listening to stories from my family as “shoppers.” I am always asking them about the latest things they’ve bought or places they’ve shopped. I listen for things like how and why they decided to go to a particular location or researched something online. Paying attention to this helps me to learn more about a customers’ path to purchase and, of course, more about my family (helps to make the gift list easier). I love being part of the Execs In The Know Advisory Board. It’s a great group of leaders across different brands. We learn so much from each other through research and best practice sharing. With the rapidly increasing demands of customers and the speed in which digital has changed the ways people shop, being a part of this group helps us to keep focused on what’s most important. I believe every customer interaction begins and ends with active listening. This is how we demonstrate we are engaged and learn about what’s important to them. Often times its simple things that you hear about and if you pay attention to them early on you can delight your customer and even exceed their expectations in the end.